Join us for our next Milwaukee Lunch & Learn titled "Using Email Marketing to Earn a Return on Your Marketing Investment." This lunch and learn will be presented by the President and CEO of Digital Fitness, Cal Fidler & Janis Henslee. Digital Fitness is a member of the Wisconsin LGBT Chamber and a marketing agency that focuses on getting their clients fit and found online while standing out in their industry. The Lunch & Learns are FREE for Chamber members and $10.00 for non-members. A special thanks to von Briesen & Roper SC, a long-time Chamber member, for hosting in their office. 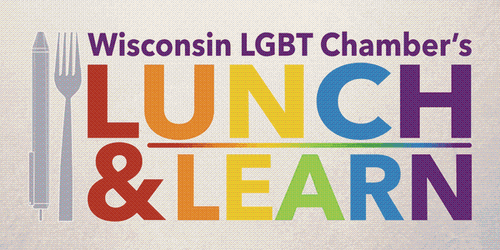 A special thanks to our presenting sponsors of our Lunch & Learn Series: Wells Fargo and the National LGBT Chamber of Commerce (NGLCC).